Can you believe it? Thanksgiving is almost here! 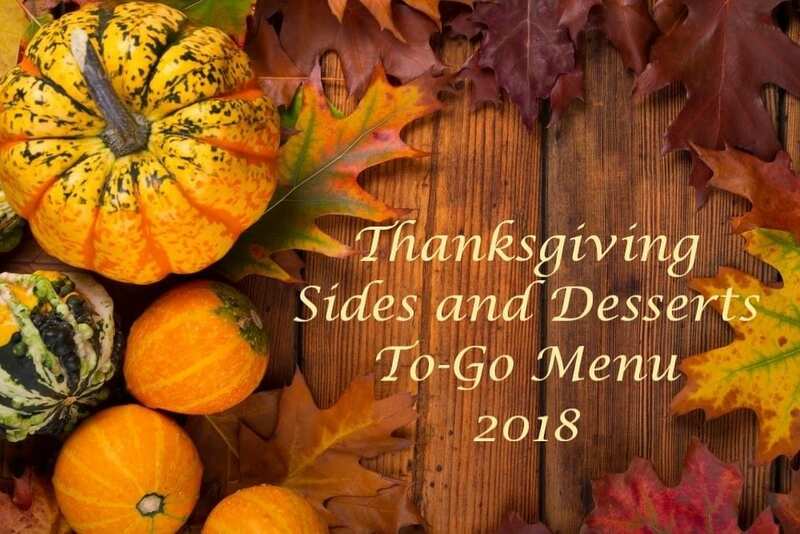 The Tavern will not be offering turkeys this year, but we will have all the sides that you may want, and some great desserts! We are also offering some breads that would be great for a morning treat! If you would like to order, please print the order form out and return it to The Tavern. Order forms are also available at The Tavern. Orders must be submitted by Wednesday, 11/14. Orders must be picked up on Wednesday, 11/21 by 2:00 PM.